Hello and welcome to the daily CD, my take on the Chelsea stories that have caught my eye today. 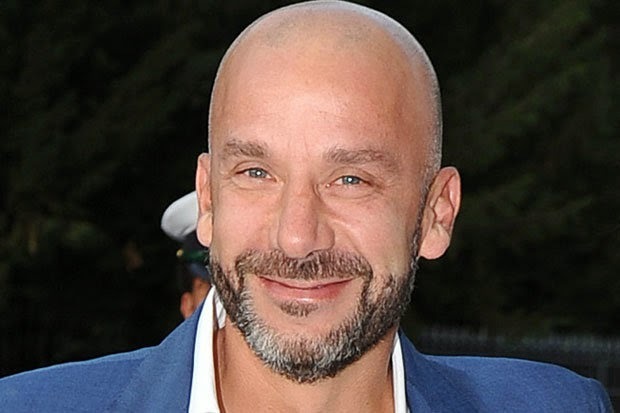 "Luca" Vialli is featured around the net today speaking of his love for the English game (Can you believe that he signed for Chelsea almost 18 years ago in 1996?) and that our way, is the way the game should be played. People often forget Gianluca's time at Chelsea and what he achieved here. I remember sitting at home back in the day watching the Italian football and his performances for Sampdoria and Juventus and admiring his ability from a far. Then, to see him sign for us was immense. He took us to another level and did exactly the same as our manager. Luca Vialli - Chelsea Legend! 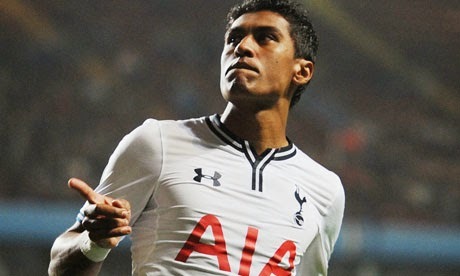 As we all know, Paulinho has been linked with a move to Chelsea in the summer and has been touted as Frank Lampard's possible long term replacement at the club. There had been reports that Chelsea were willing to offer in the region of £20m for the Brazilian signed last summer but Daniel Levy is looking for closer to £30m before he is willing to do business. Now I have my reservations ahead of a possible move because from what I have seen of him this season, defensively he is shocking and I can't understand how the manager has spoken so much of a player's willingness to track back and defend without the ball, that we are now being linked with this move? “Absolutely not. I know how to handle my career and it’ll take more than just one bad moment before I reconsider my options. Hopefully he will stay at Spurs! As posted in yesterday's CD, David Luiz has become a target for Pep Guardiola at Bayern Munich as he looks to bolster his defensive options. Today, it seems that there is a twist to this story with Mario Mandzukic being touted as part of the deal. Some reports indicate that Bayern Munich would offer Chelsea £15m plus Mandzukic for the Brazilian defender and Mourinho could be keen. Robert Lewandowski will sign for the Bavarian giants when his contract with Dortmund expires at the end of the season and it's believed that Mandzukic is surplus to requirements in Munich despite being their top scorer this season. Mourinho is looking for two class strikers this summer with Diego Costa being one of them, could Mandzukic be the other he is looking for? What do you the Chelsea fans think of these stories?